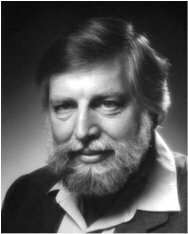 Peter Randolph Feltus, a Circle member for half a century (he joined in 1962) and second only to Peter Smith in membership longevity, died unexpectedly and peacefully at home in Berkeley, California, only a few days before celebrating his 71st birthday on New Year's Day. He was a truly remarkable researcher, publisher and dealer, interested and expert in all aspects of Egyptian and Sudanese philatelic information. Above all, Peter was a character. In UK we have a vegetable spread for sandwiches and the like by name of Marmite. People either love it or dislike it intensely. Peter fitted into a similar category. In the Sixties he enjoyed the hippy life to the full, and in later life many of its characteristics remained with him, including a full and vehement confidence in his own opinion, an intense affiliation with the left-wing poets and writers of European literature, and the knowledge that his way was the right way. It was not invariably popular. But by whichever Marmite standard you judge him, Peter, who spent some of his early life in Hong Kong and won a BA from the University of California at Berkeley, was a true exponent of the arts of philately, serving the Circle, the Sudan Study Group and the American Philatelic Association with a constant stream of information, virtually all of it based on his personal research. For at least 30 years he was a full-time dealer in Egypt and Sudan material, together with books relating to the area. One of his for-sale lists went out just before his death: while his sale prices were invariably low, he was not easy to sell to, as he expected an equally good bargain when buying. On his last visit to the UK, for the Dennis Clarke sale, he was disappointed at obtaining so little at the auction. He will best be remembered for his Catalogue of Egyptian Revenue Stamps, published in 1982. Revenues was one of his many passions and he found it difficult to understand why so few of us could share it. This classic work, which includes Cinderellas and Interpostal seals, was helped by half a dozen visits to Egypt and mainly by his local agent Hossain Abdel Gawad. It is badly in need of an update, and after the recent loss of Nabil-El Hadidi and Robin Bertram it is not easy to see whence it might come. Another passion was the cancellations of the classic period, resulting in Peter's taking over the work originated by Seymour Blomfield after he died and producing Egyptian Postal Markings of 1865 through 1879, published in 1983 and reissued in the last 12 months. This was very much in the tradition of the "old days" of the Circle, when many members would report their findings to be shared; it contains a who's who of those who generously took part. More recently Peter was instrumental as an intermediary in providing to the Circle the remarkable run of Egyptian Postal Bulletins that have provided first-hand information about changes to rule and regulation in the Egyptian Post Office. Truly a treasure, these books were unknown before his offer to make a deal. His most recent QC article, in the June 2009 issue, formed the question: How rare are the Iaffa and Dalla Stazione postmarks? It was accompanied by a comprehensive listing, compiled by himself over many years from his own and others' collections and auction catalogues, of the 30 known Iaffa postmarks on Egyptian stamps, and the 23 Dalla Stazione markings on Classic covers. He was not, like many of us, an exhibitor, but the Cairo 1991 exhibition was a special case. Peter was delighted to be invited to show eight frames of his outstanding Second Issue collection - without any doubt the best in the world - but typically, because part of his exhibit included the plating of the sheets of 200 stamps, he had to use over-sized display pages that incurred the displeasure of the international judges. Peter was, to say the least, less than happy at the award of merely a silver medal. Born in New Orleans, he revolutionised Egyptian revenues and gave much to our Circle and our studies. He will be missed.